Former Plaid Cymru president Gwynfor Evans' threat to go on hunger strike to set up a Welsh language TV channel has been criticised by assembly Presiding Officer Dafydd Elis-Thomas. 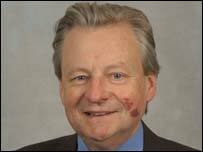 Lord Elis-Thomas, who succeeded him, said it was "morally unacceptable". The comments are in a BBC Wales two-part biography, Gwynfor: Yr Aelod Dros Gymru? (Gwynfor: The Member for Wales? ), on S4C on Tuesday (2100 GMT). The threatened fast led to the foundation of S4C in 1982. The programme looks at the life of Mr Evans between 1945 and 1981, when he was Plaid's founding president, and traces his rise as a leading campaigner for Welsh devolution and Welsh language rights. Lord Elis-Thomas is one of a number of high-profile politicians who looks back at Mr Evans' controversial decision in 1980 to fast until death unless the Conservative government established a TV channel dedicated to broadcasting in Welsh. 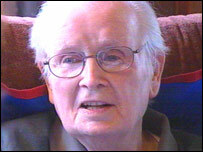 Mr Evans, who died aged 92 last April, was a devout Christian and believed he had a duty, if necessary, to use non-violent means such as fasting to secure political or social change. Lord Elis-Thomas, who was a fellow Plaid MP from 1974 to 1979, said he believed in hindsight that it was "an error of judgement" to use the fast as a political tactic. The Meirionnydd Nant Conwy AM said fasting was "morally unacceptable". "It's violence to an individual's life by that same individual," he said. "I now believe there's something pathological about it. "I'm not saying that this was true about Gwynfor in those days, but I wouldn't recommend following that line of action again." BBC Wales political correspondent Rhys Evans, who was involved in researching the documentary after writing the biography Gwynfor Evans - Rhag Pob Brad, published by Y Lolfa, said it revealed many different aspects to the former Plaid Cymru leader. "On the one hand you have Gwynfor, the unwavering gentleman and on the other hand you have the self-centred, messianic Gwynfor and also, Gwynfor the vulnerable figure who made mistakes," he said. "In essence, he was flesh-and-blood and that's how we should think of him." The two 50-minute programmes feature previously unseen archive footage of Mr Evans and his family at their homes in Llangadog and Pencarreg in Carmarthenshire, and interviews with four of his seven children. His son, Dafydd Evans, said his father "truly believed that he was the one who was supposed to save Wales." "He had, to all intents and purposes, given his life to that cause," he said. Gwynfor: Yr Aelod Dros Gymru? is on Tuesday, 6 December, at 2100 GMT with English and Welsh subtitles. Letters and other papers belonging to Mr Evans have been published online by the National Library of Wales in Aberystwyth. Some of the documents relate to several major events in Welsh history including the Tryweryn campaign in 1957. Dr John Graham Jones, head of the Welsh political archive at the library, said: "Researchers can now locate details of historic, revealing letters to Gwynfor Evans. "Amongst literally thousands of letters are many from politicians of all parties and a large number which relate to momentous events in the life of Gwynfor Evans and Wales."